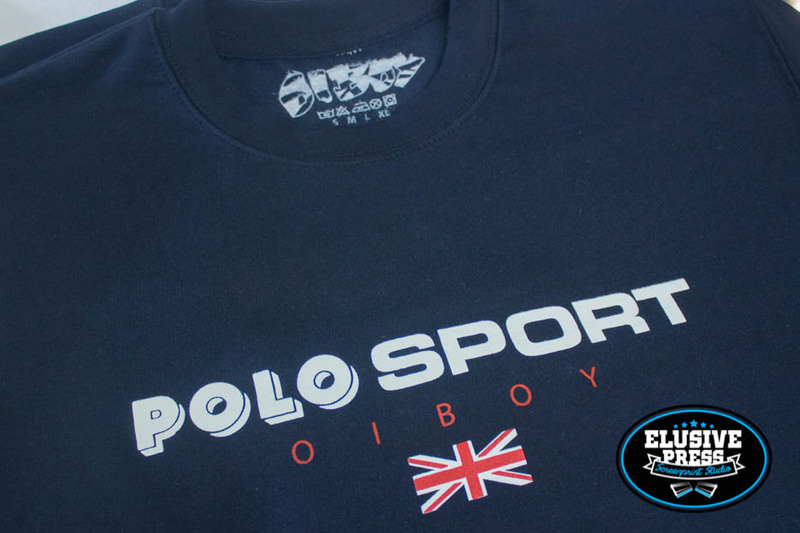 More designs from ‘Oiboy’ This brand keeps us busy. 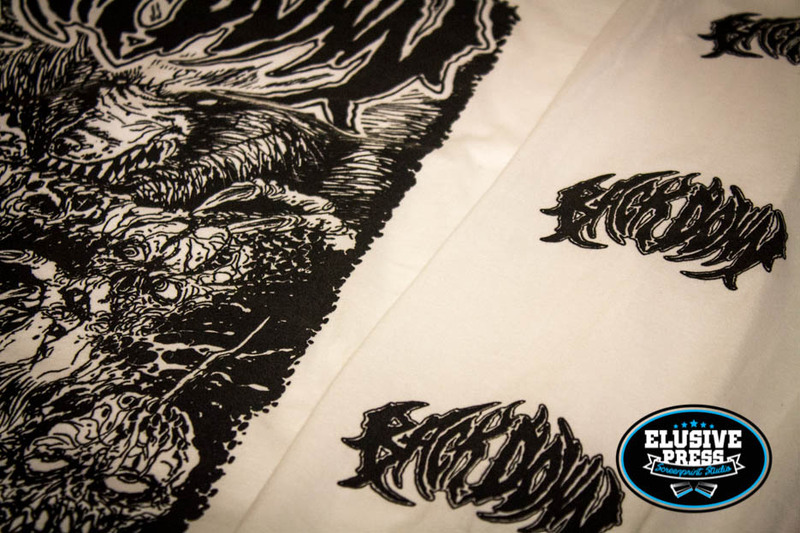 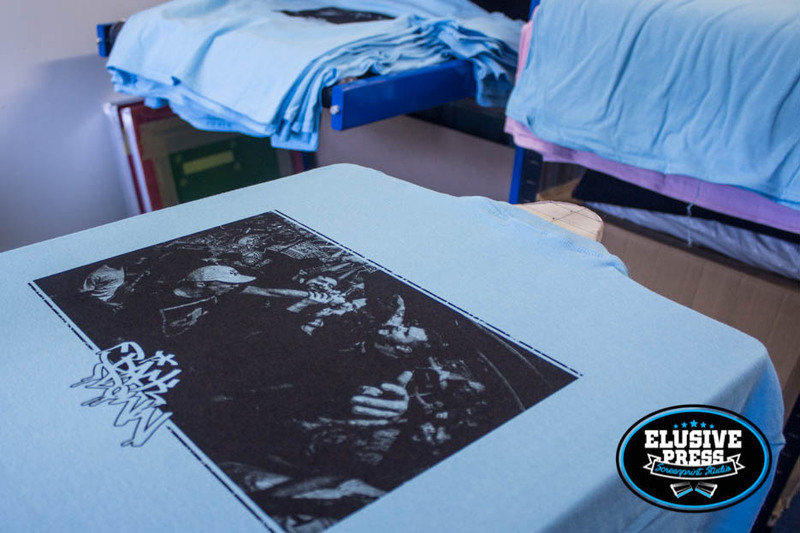 We had the pleasure of screen printing these 3 colour back prints + single colour sleeve and front prints for Fiend Productions. 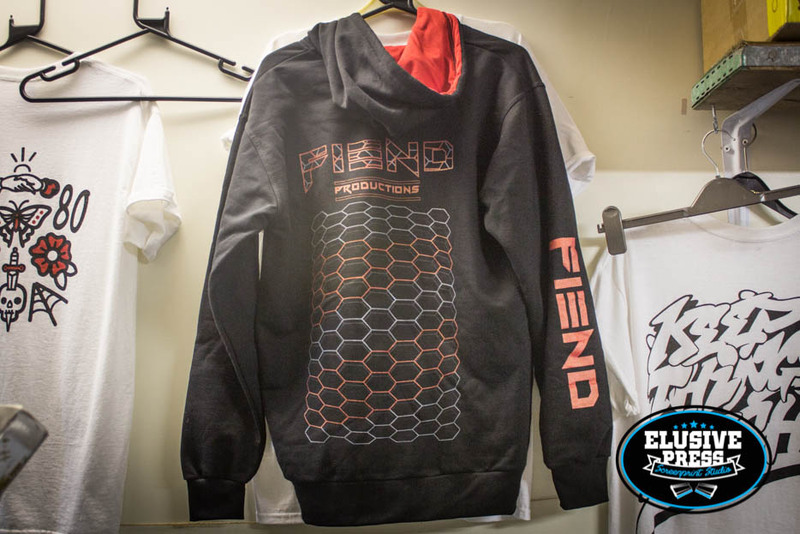 Fiend are an audio visual equipment rental service based in London. 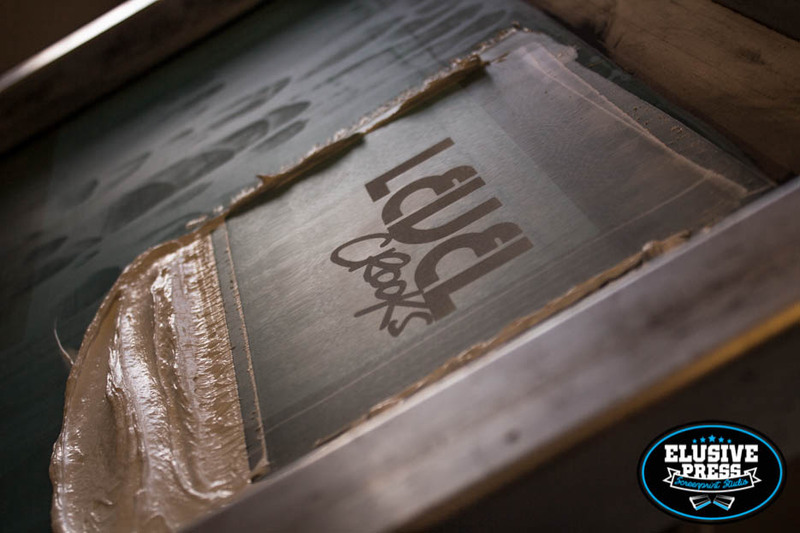 Supplying a lot of the sound systems you’ve probably been partying the summer away to at festivals around the Uk. 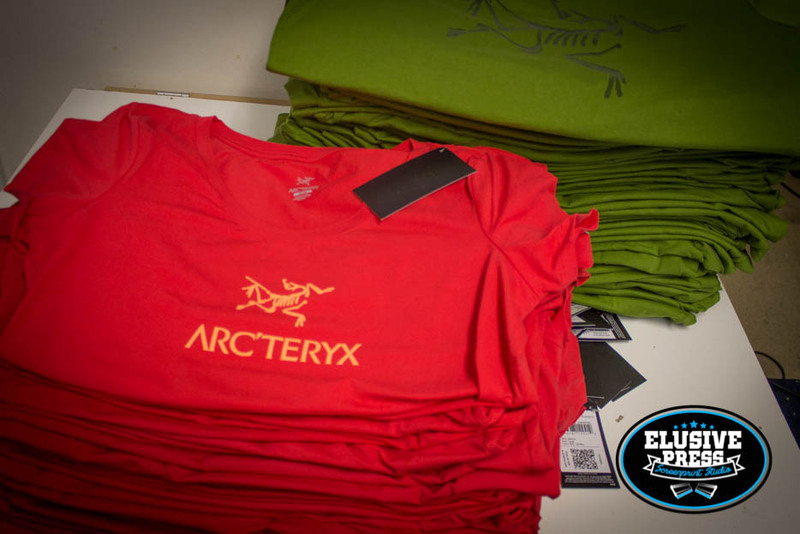 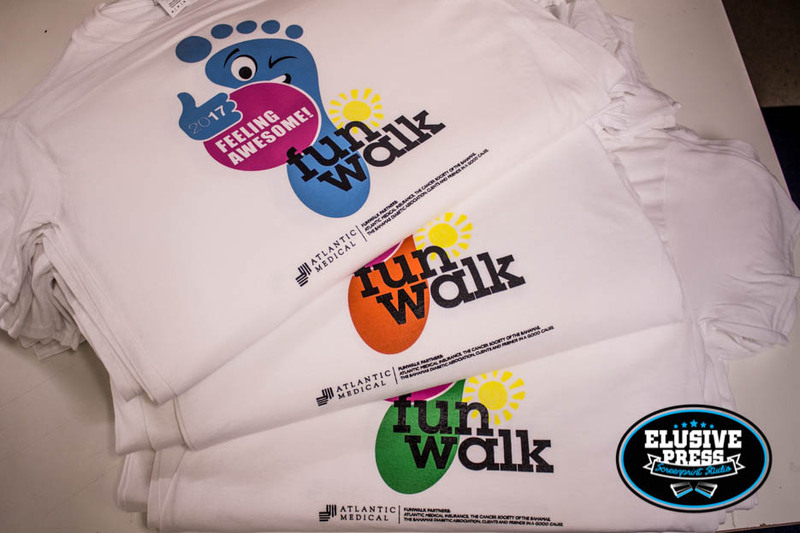 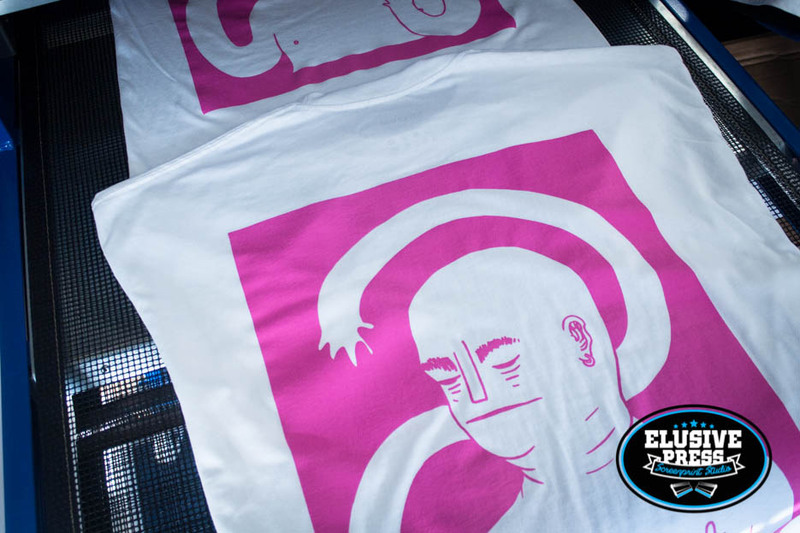 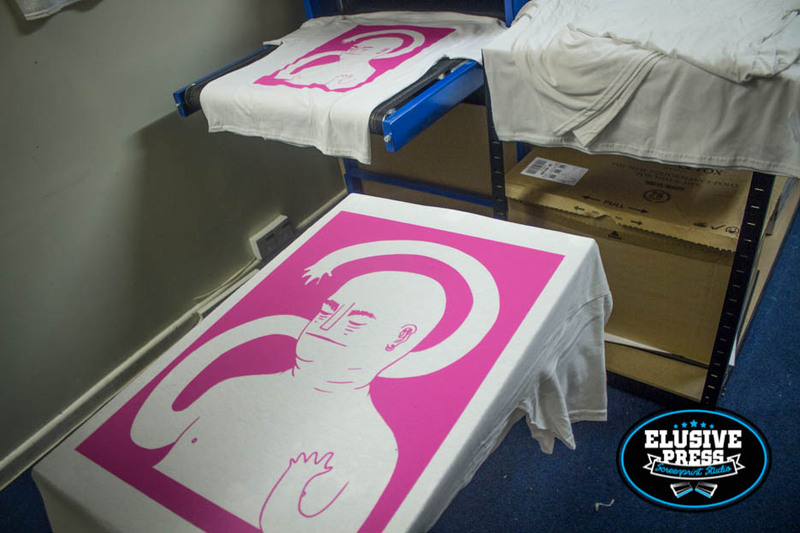 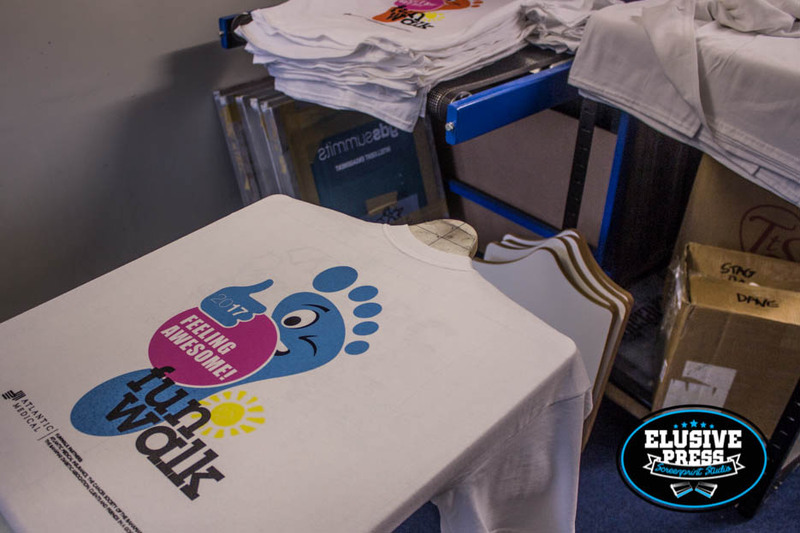 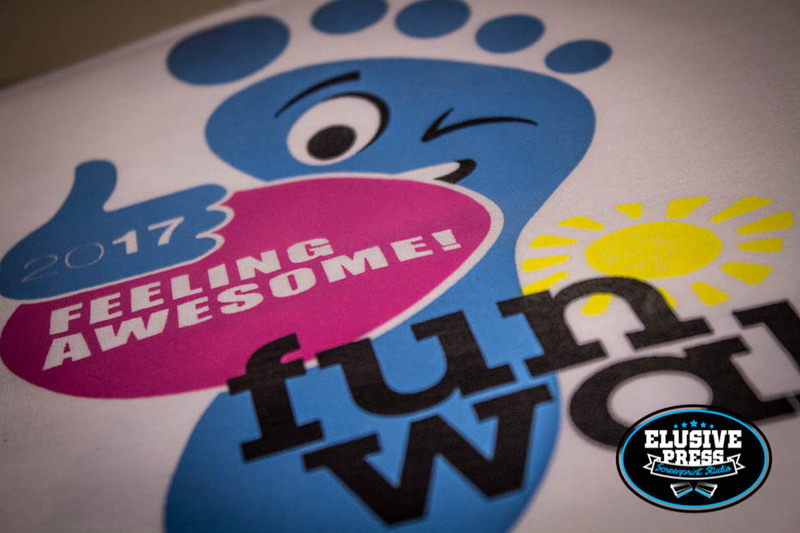 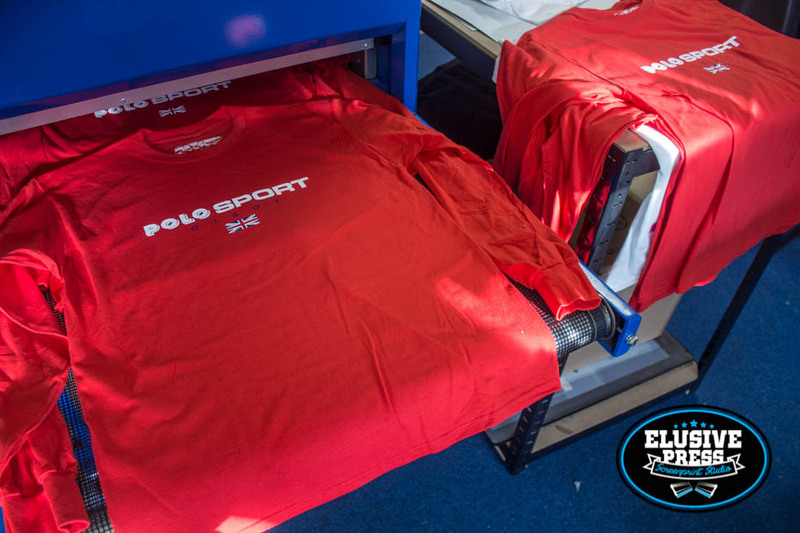 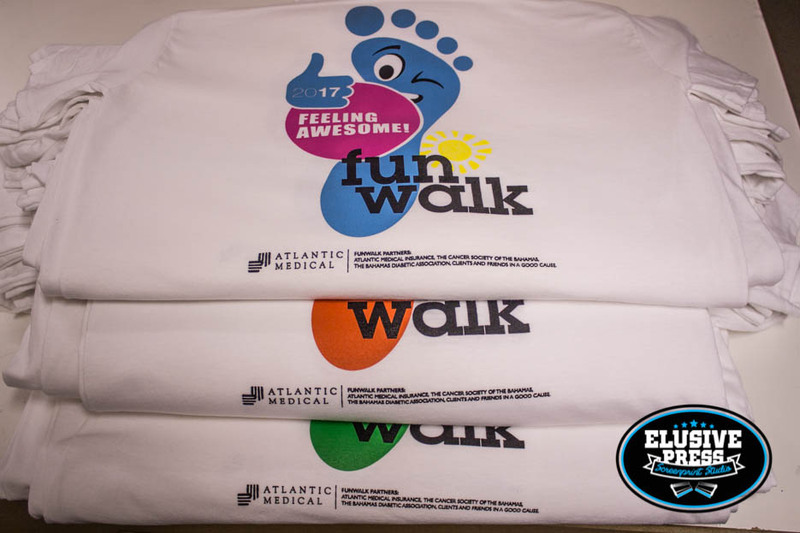 We screen printed these colourful t-shirts for a charity walk back in the summer. 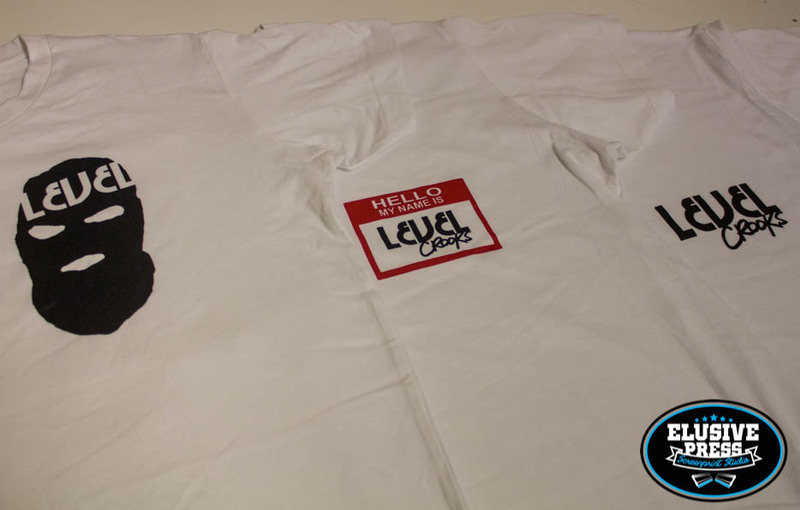 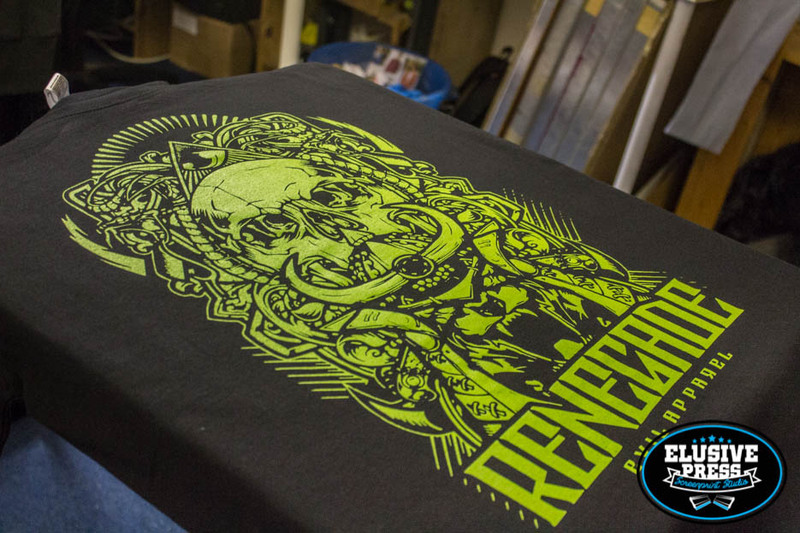 Some t-shirt we printed recently. 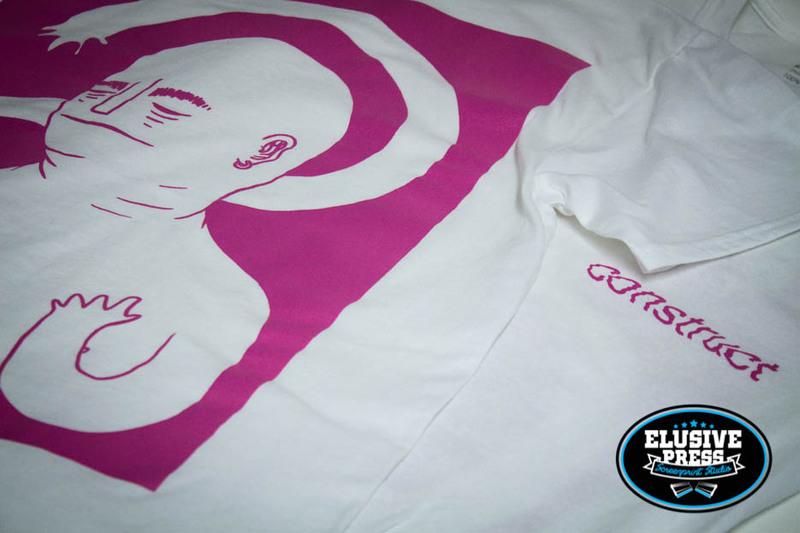 Oversized A2 print on Gildan Ultra t-shirts. 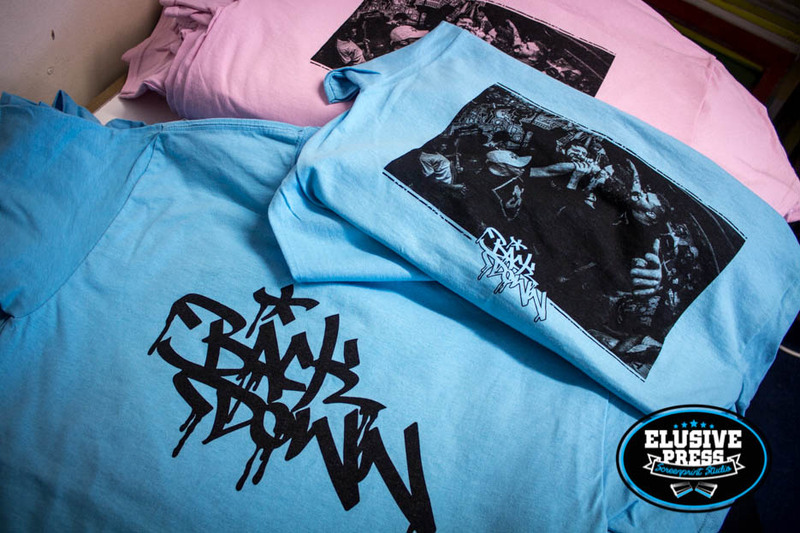 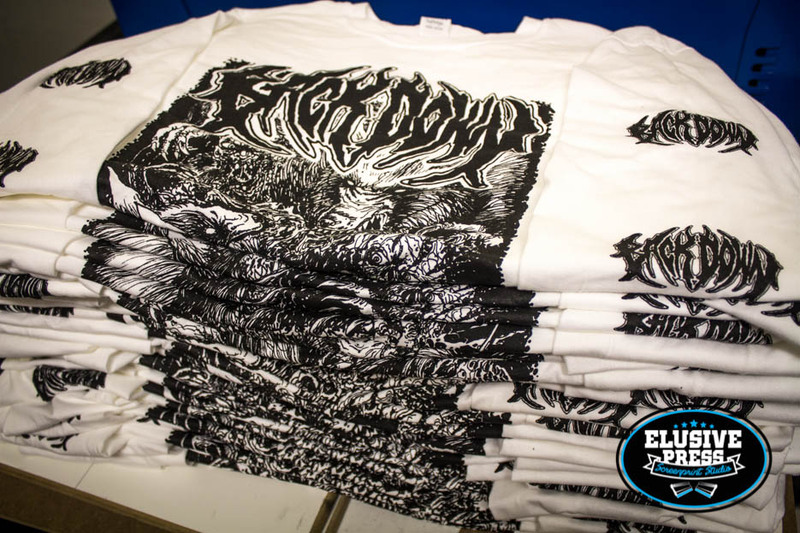 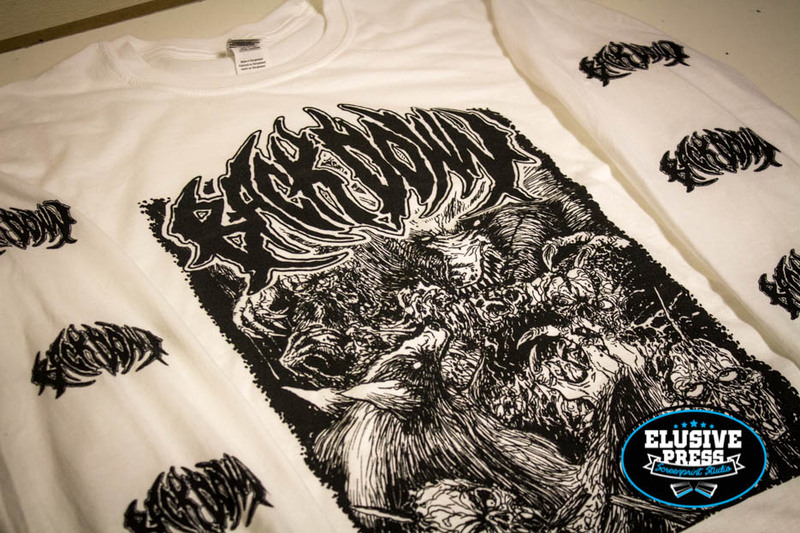 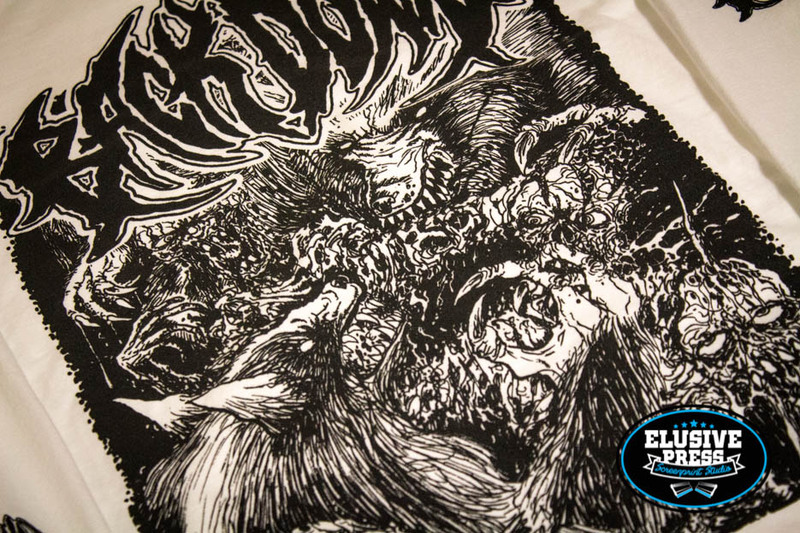 This second batch of screen printed long sleeve t-shirts for band ‘Back Down’ are pretty amazing. 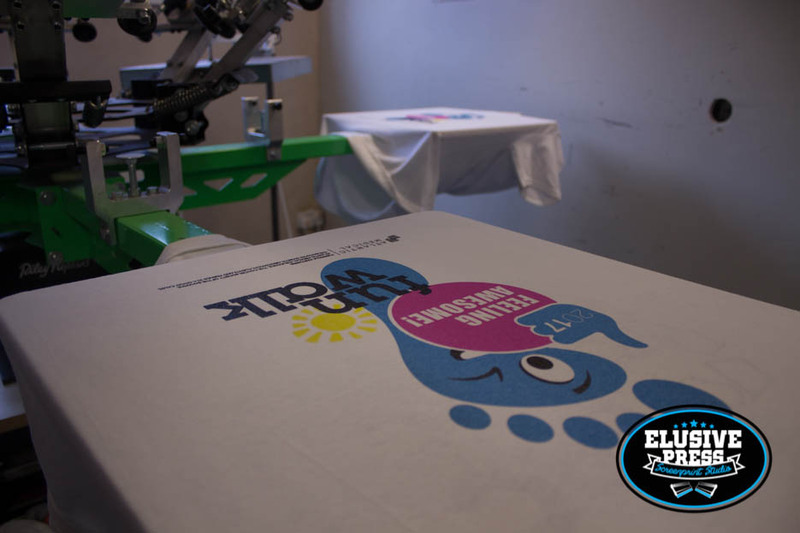 We love having such talented and creative clients which keep our job here interesting. 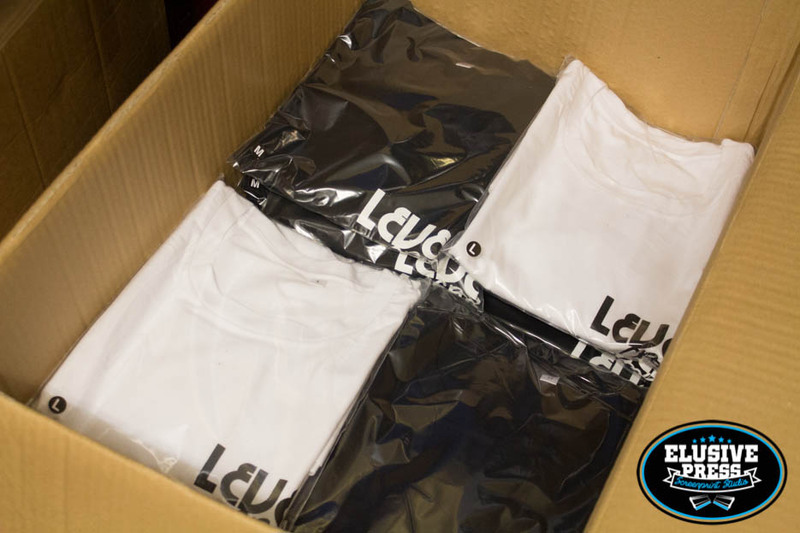 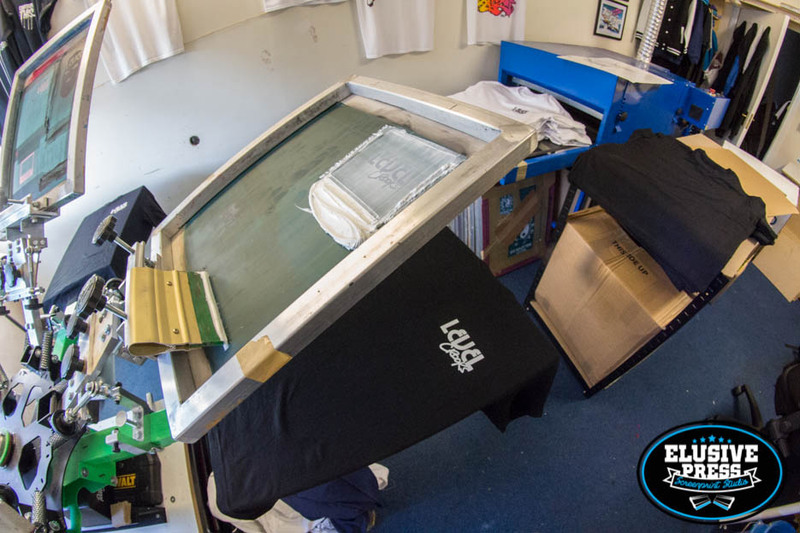 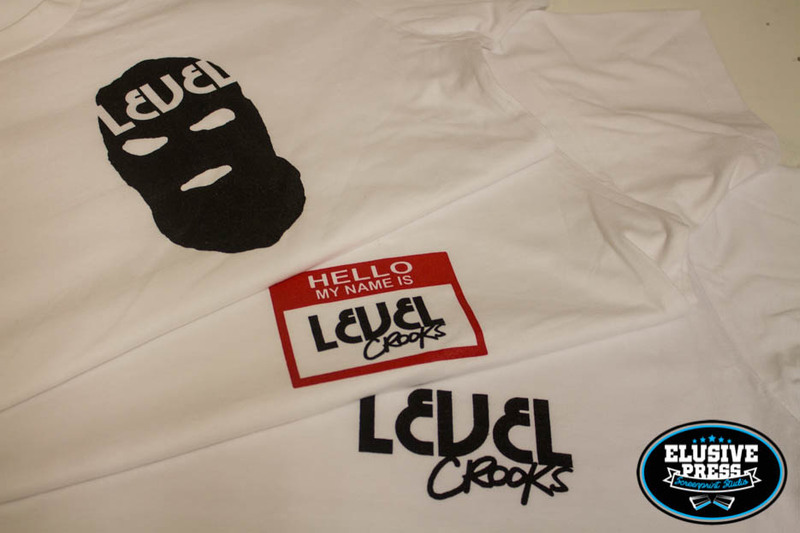 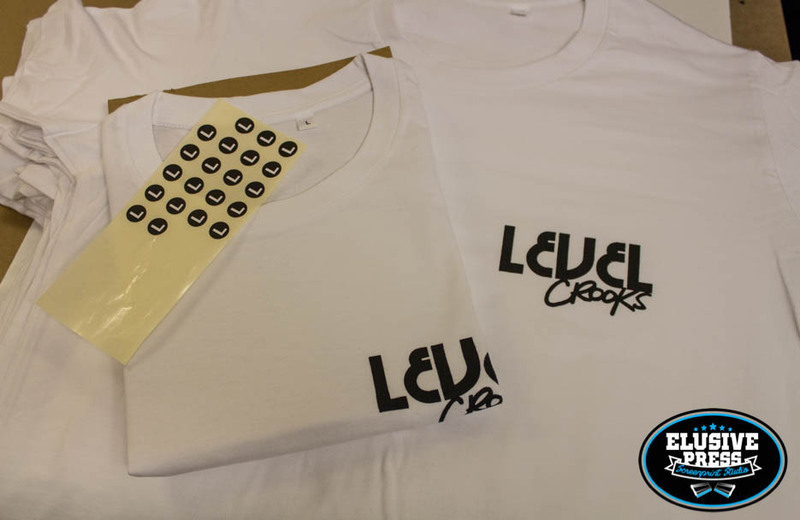 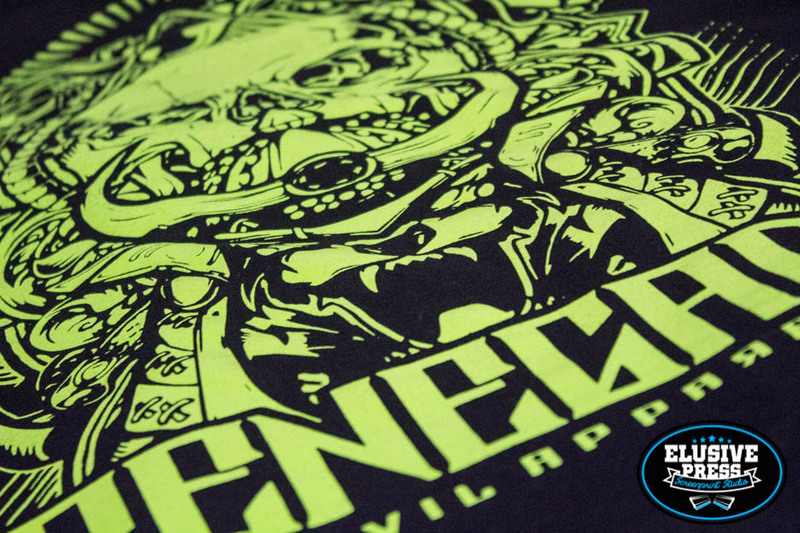 Full A2 chest print and 2x full length sleeve prints. 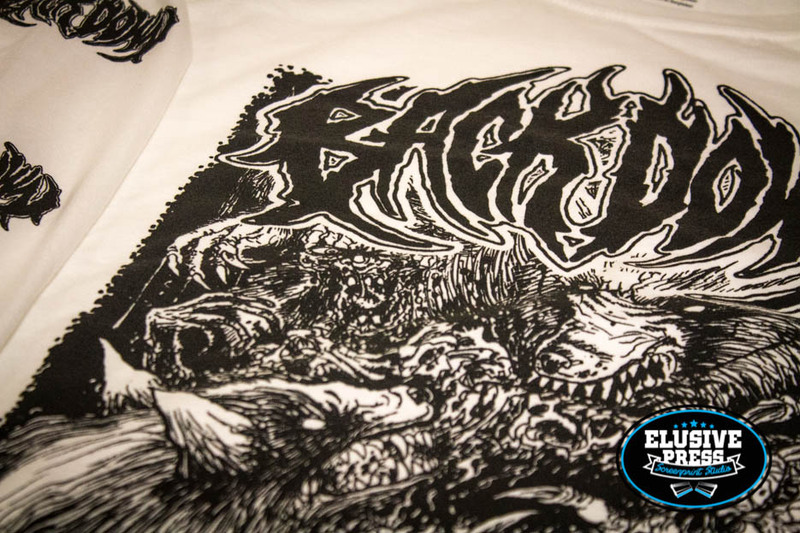 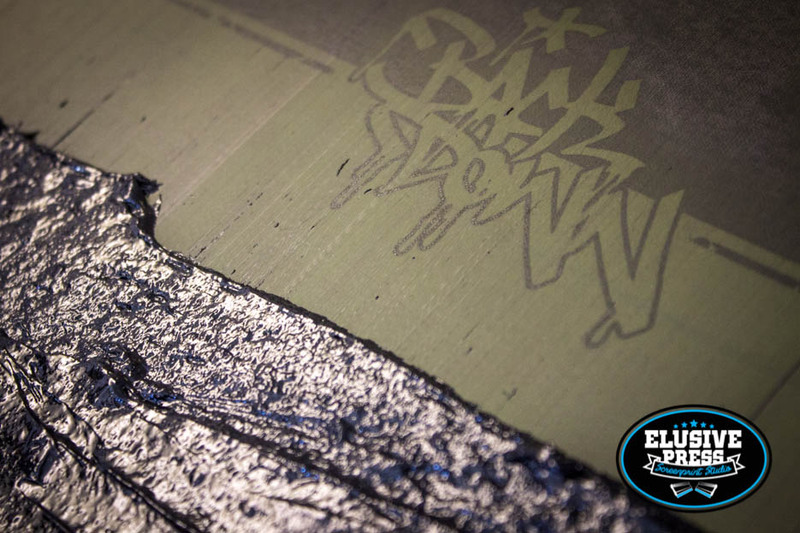 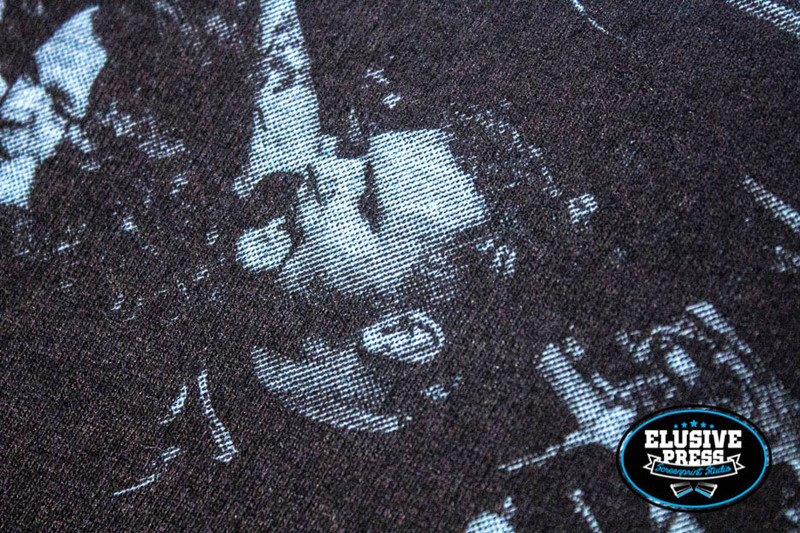 We screen printed these t-shirts for Bristol based band ‘Back down’ using a very fine 12oT mesh screen to create the photo half tone print on the back of the garment. 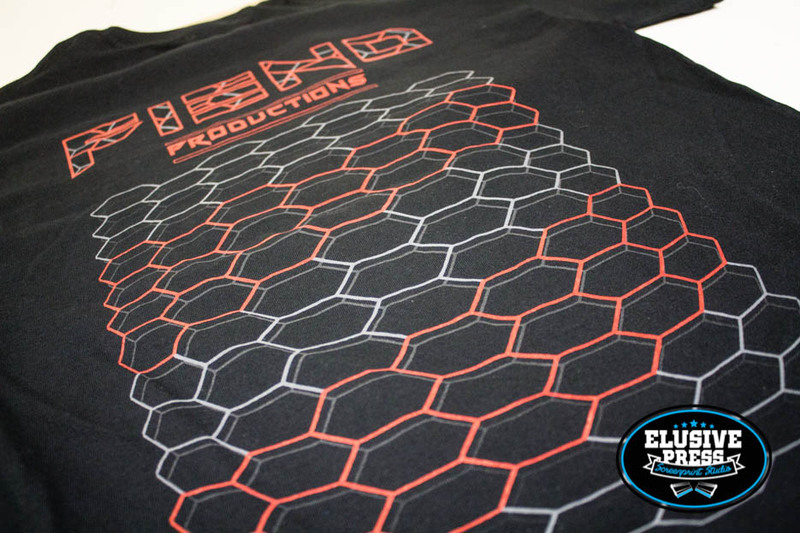 It was hard to push the ink through sure a fine mesh but the results were work the sore fingers. 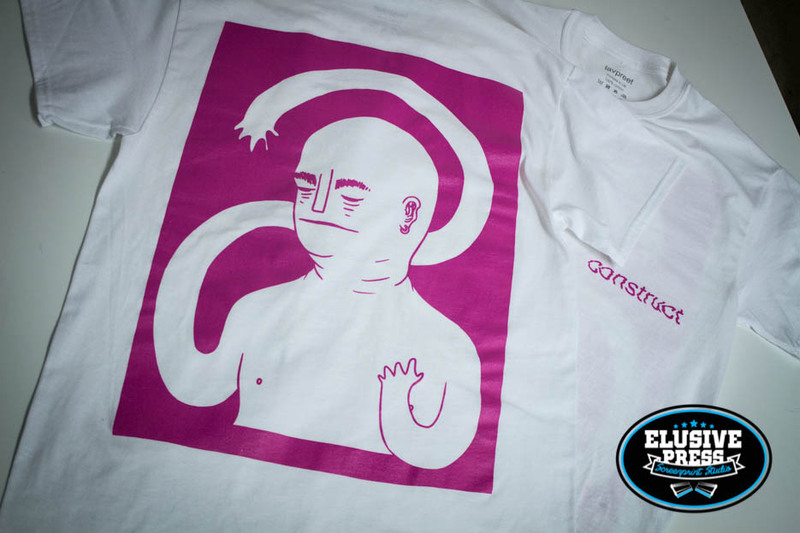 These guys just keep on coming. 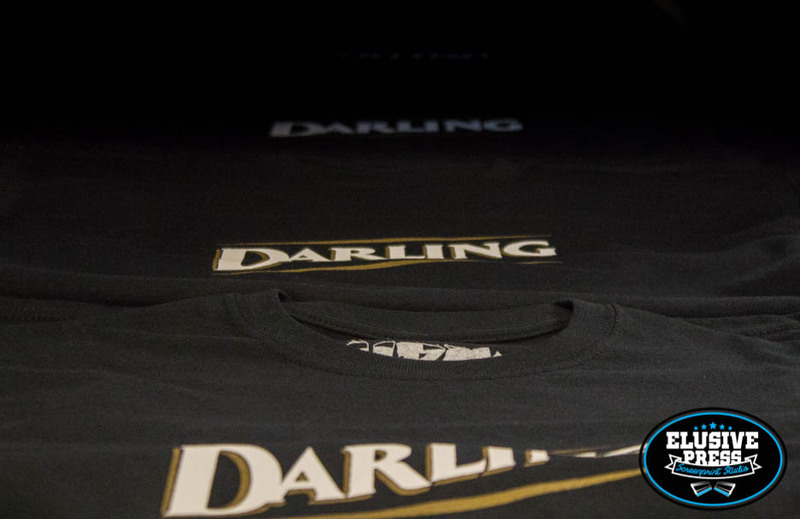 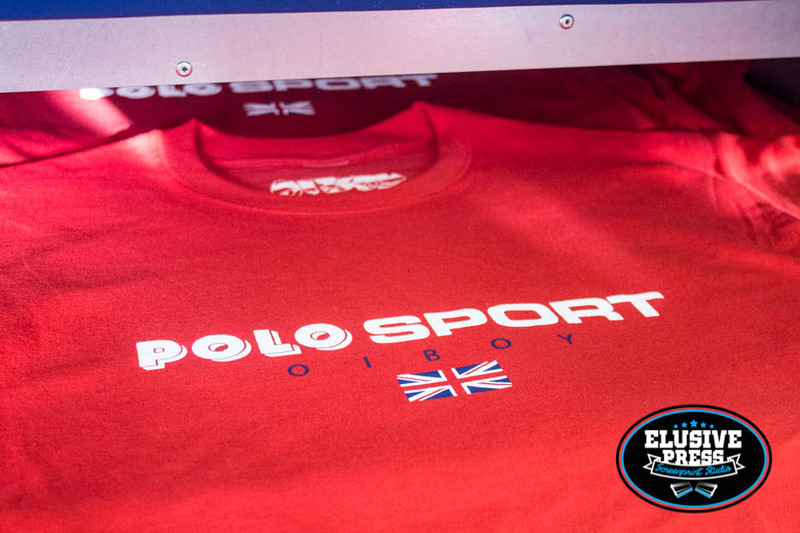 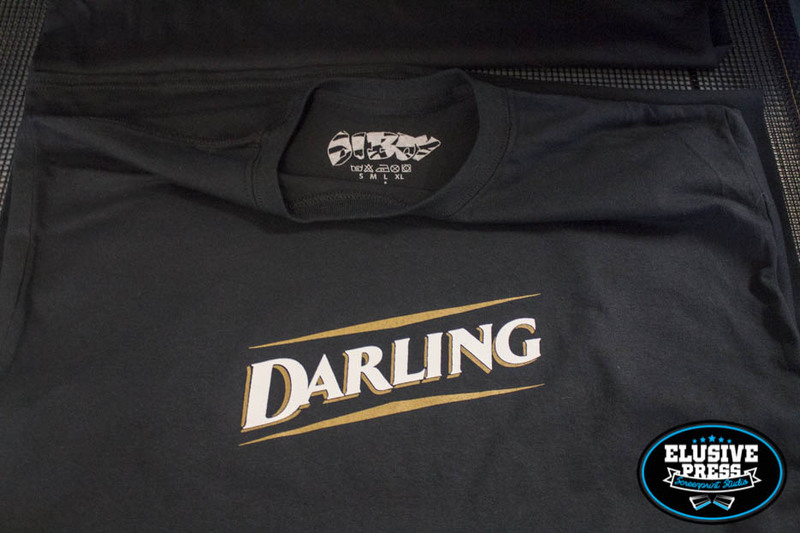 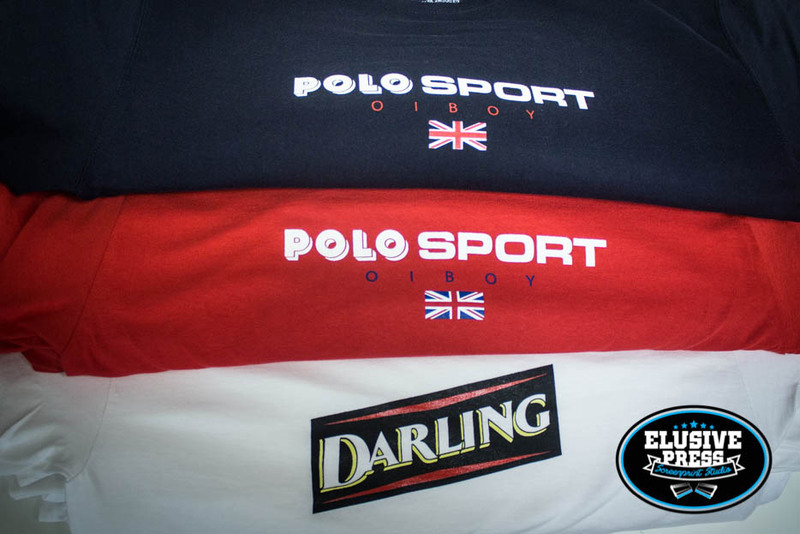 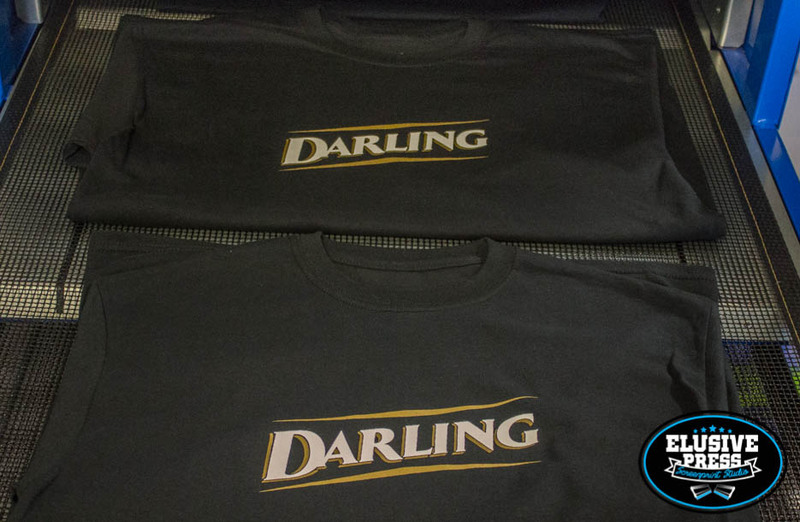 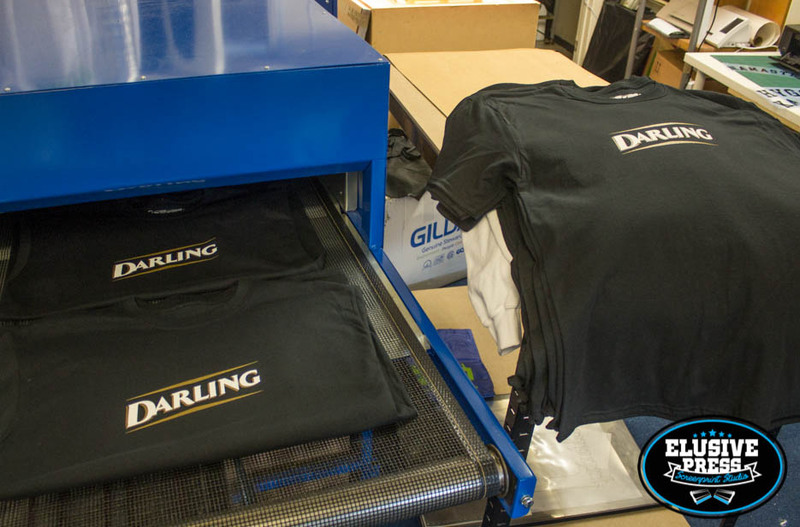 ‘Oiboy’ have come back with a different colour way of there best selling t-shirt, the ‘Darling’ Carling tee. 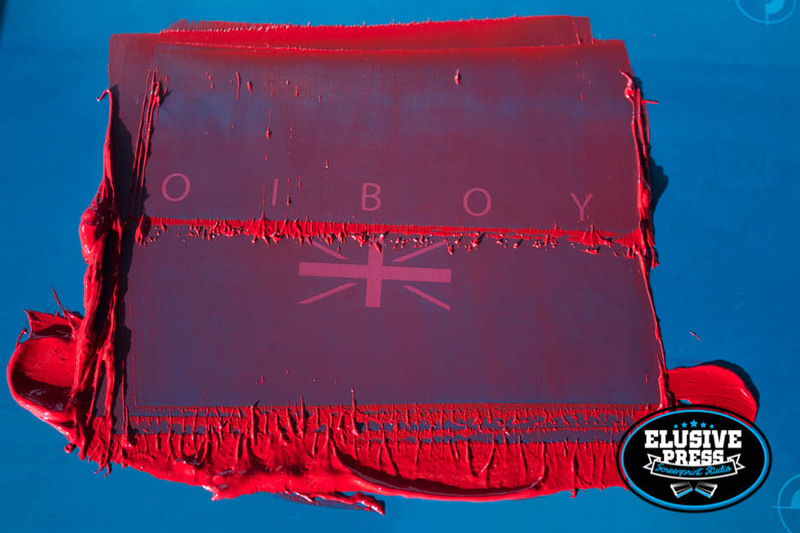 Its always exciting getting emails from Oiboy as you never know quite what to expect. 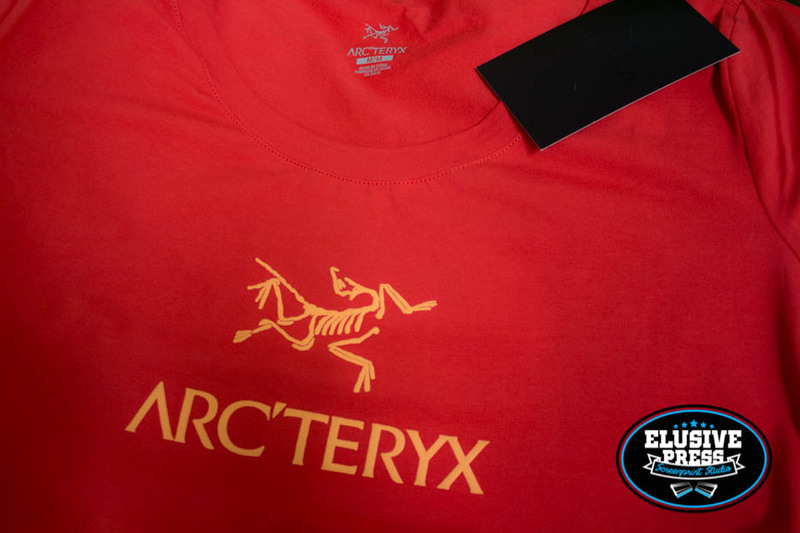 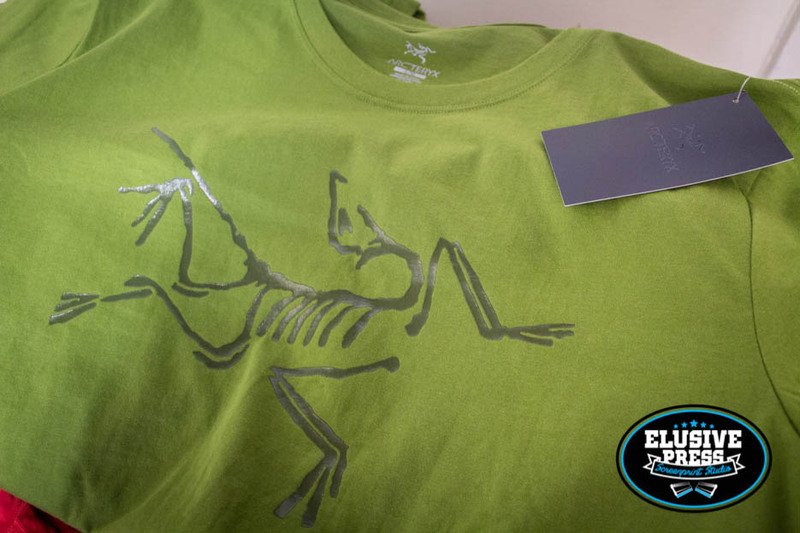 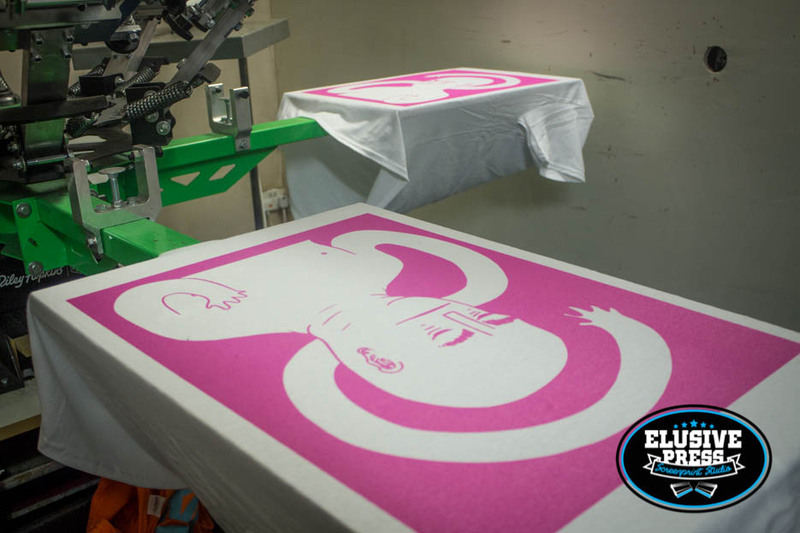 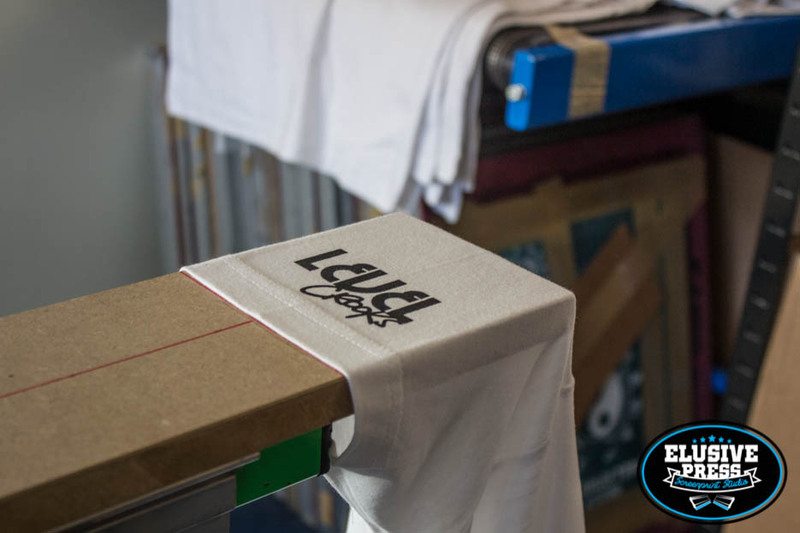 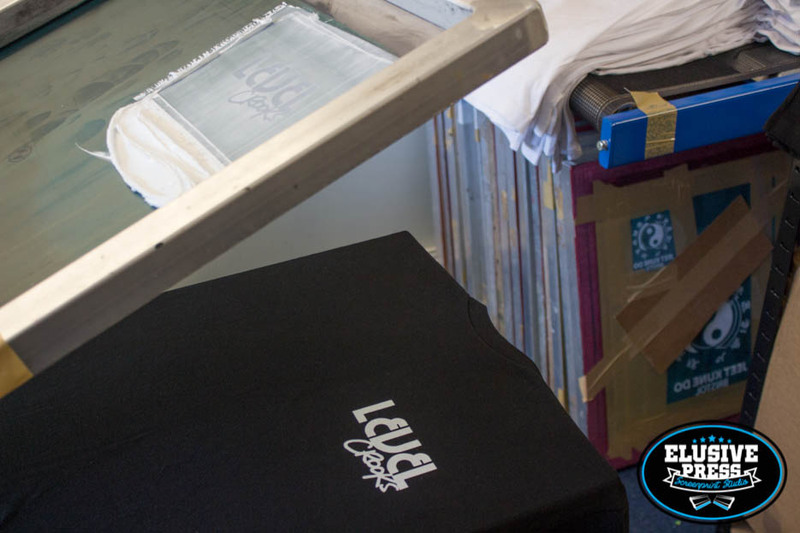 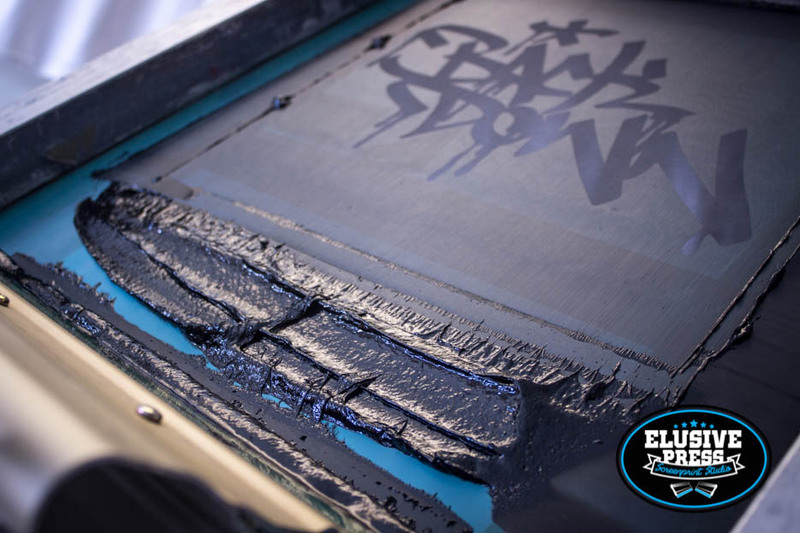 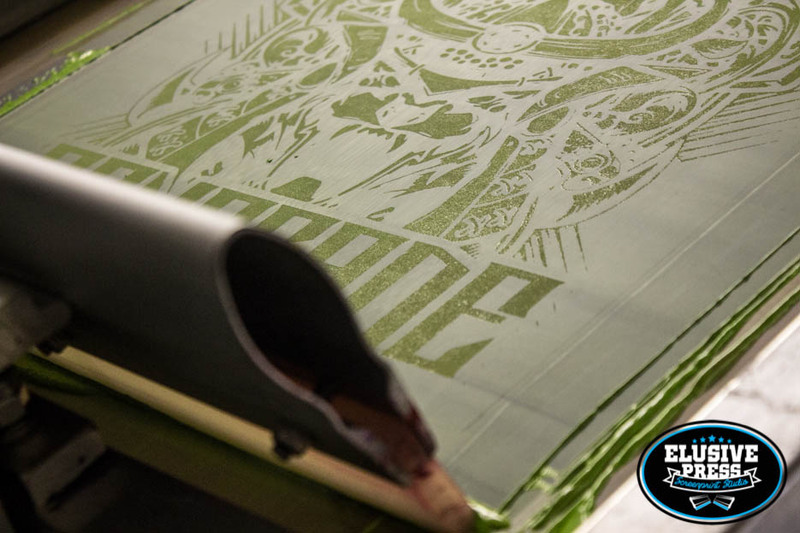 The one thing I really like about being a small independent screen printer is that I get to meet and work with lots of other cool and inspiring independent brands. 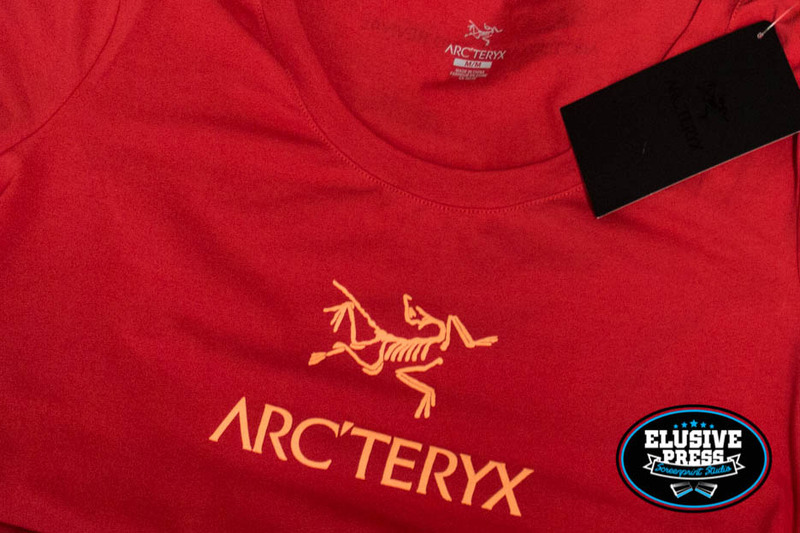 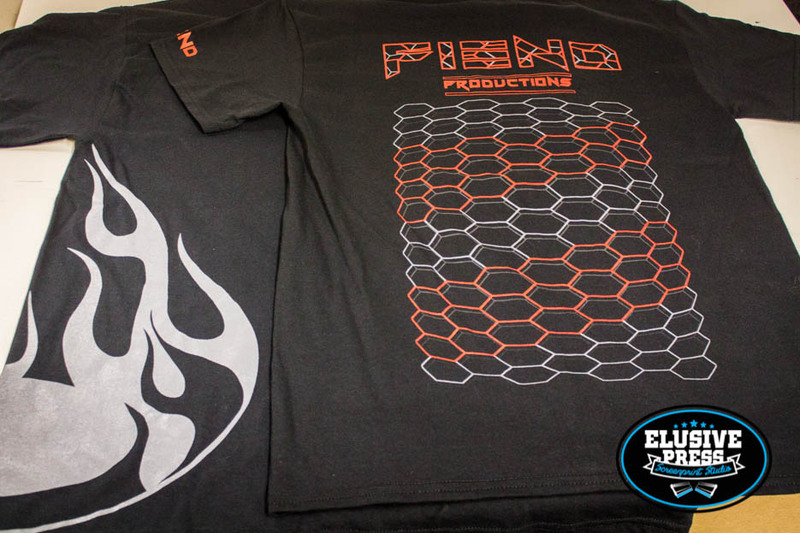 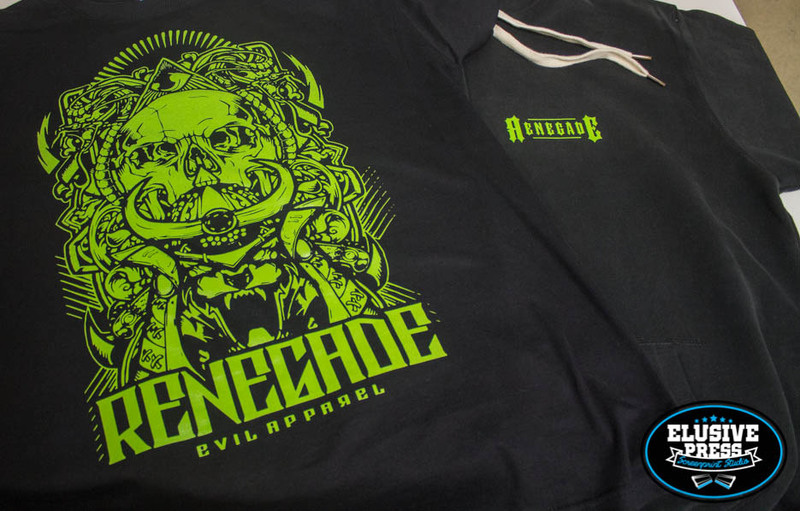 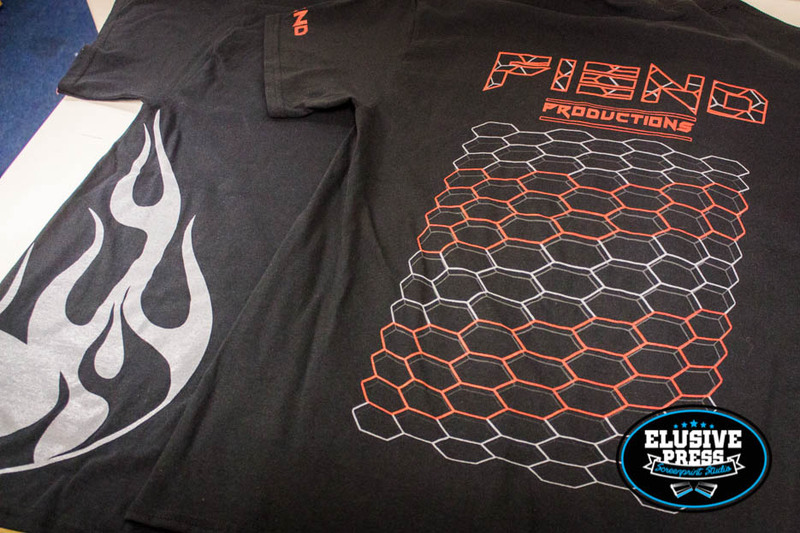 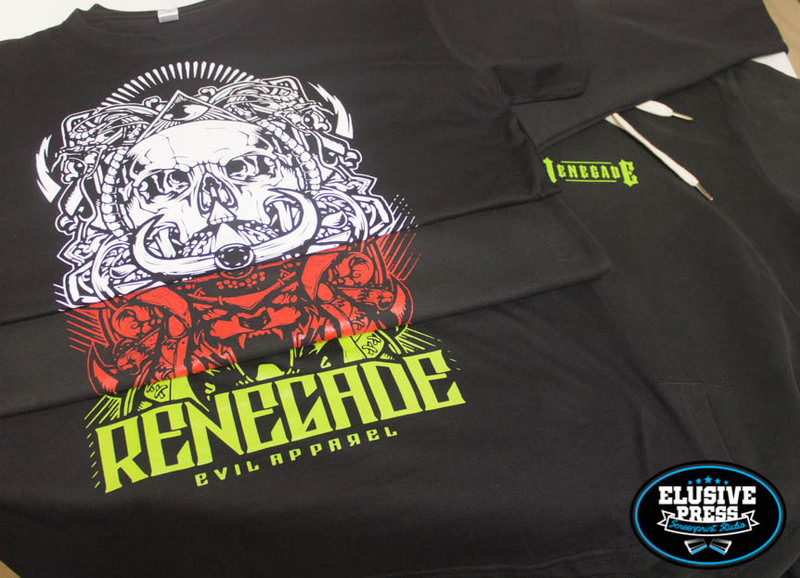 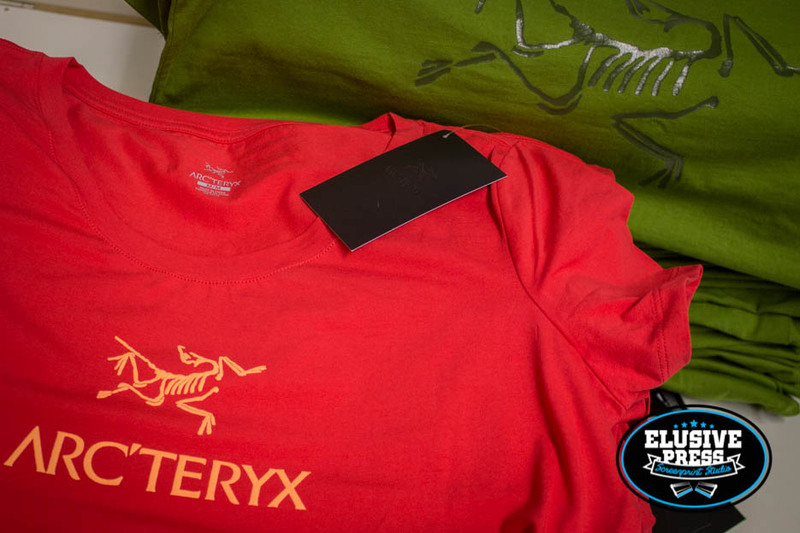 We printed these t-shirts and hoodies for Jason at Renegade Apparel. 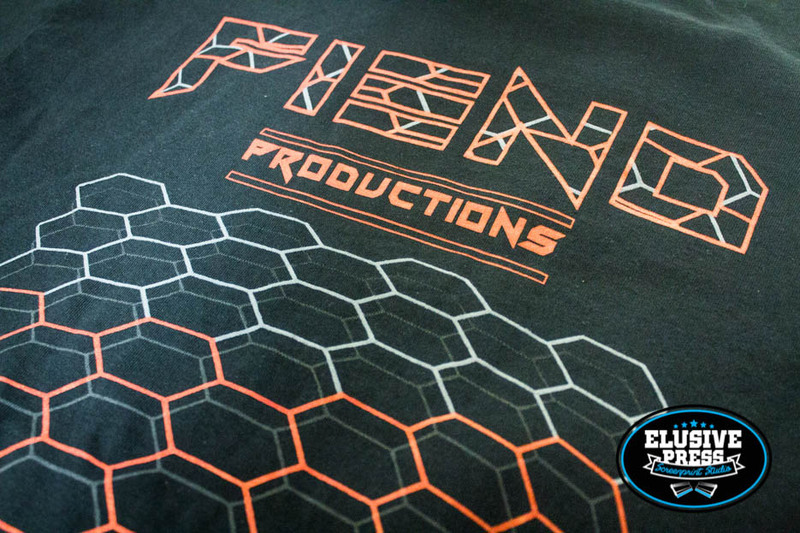 Such a good design and looked great in print.